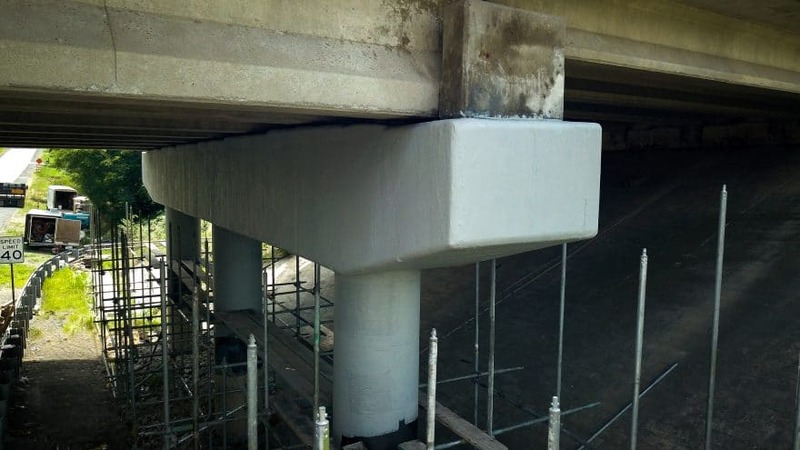 For decades, if a truck passed under a concrete bridge with low clearance and hit one of the support beams, there was a standard fix. Depending on the severity of the damage, the struck section would be cut out and removed, a new beam lowered or hoisted in place and welded in. There’s a new way though: carbon fiber reinforced polymer, or CFRP. And thanks to Bill Anskis Company Inc., CFRP is taking hold in Pennsylvania. Bill Anskis Company is an Elysburg, Pennsylvania-based contractor specializing in reinforced concrete and civil and architectural construction, particularly for bridge and dam repair work. It performs streetscape improvements and general concrete repair work for local schools and clients that have included Cherokee Pharmaceuticals. Since 2009, the company has worked closely with the Pennsylvania Department of Transportation (PennDOT). It’s with PennDOT and other clients who perform bridge repair work, that Bill Anskis has found a use for CFRP. CFRP is a carbon fiber product that comes in rolls. 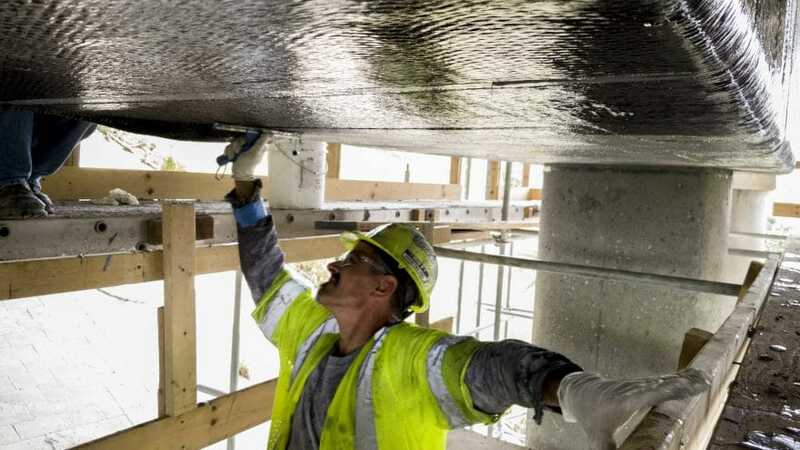 It is soaked in epoxies and applied with special adhesives to concrete that needs to be reinforced, “almost like you would apply wallpaper,” says Bill Anskis Company Operations Manager Kevin Sincavage. To protect the CFRP from ultraviolet rays—which break down polymers formed by epoxy—it’s coated with a special paint, which comes in a variety of colors, including “concrete grey.” Within three days, the CFRP hardens and returns the concrete to its original strength or stronger. CFRP can add years to the life of a structure and will not crack or chip, like traditional formed concrete. With CFRP, the firm can drastically reduce the cost of bridge repair work. 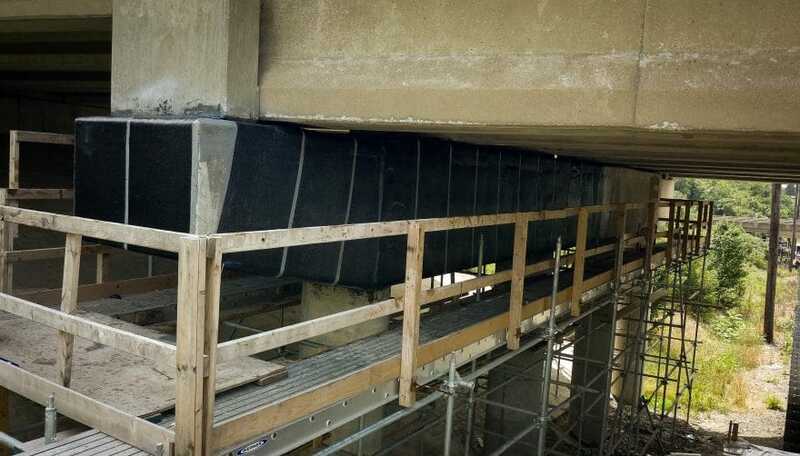 Now, when a beam supporting a bridge is struck by, say, a truck, rather than cutting the damaged beam out and replacing it with a new section of beam, Bill Anskis Company uses CFRP. In those cases, the firm’s engineers determine how many CFRP layers are needed as well as the specific CFRP product needed to restore the bridge to its original strength. Then, crews carefully wrap the damaged section in CFRP that’s soaked in epoxies and applied with special adhesives. The original beam is left in place, and Bill Anskis Company avoids the time and money that would be involved in removing and replacing it. “On an average bridge, the old method might cost half-a-million dollars. With CFRP, Bill Anskis Company can offer the same strength and durability for, quite possibly, 15 percent of that,” Sincavage says. The same CFRP approach can be used for bridges that have deteriorated from time and use, too. The appeal of CFRP is understandable. According to the Federal Highway Administration, the U.S. has 56,000 structurally deficient bridges. Pennsylvania, alone, has 4,500 structurally deficient bridges. CFRP is used on airplanes and space shuttles, too. In fact, at one point Boeing purchased so much CFRP, there was a market shortage. 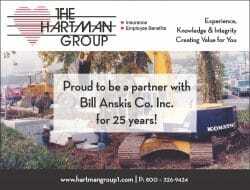 Bill Anskis Company took its first contract with PennDOT in 2009. That initial contract was for three years and 18 bridges, but PennDOT extended the contract an additional year-and-a-half. The extended contract included three additional locations and a massive arch bridge, with so much damaged it took a full year to repair. During that contract, one of the bridges was struck by a truck, and Bill Anskis Company used CFRP to wrap and repair it. Bill Anskis Company has now used CFRP on many PennDOT projects. It’s used it on the Pennsylvania Turnpike and county and municipality projects, as well. In fact, PennDOT was not necessarily an early adopter. It looked for success first, in those smaller, local projects. While Bill Anskis Company’s typical jobs might be around 200 or 300 square feet, the company is beginning a major PennDOT project totaling approximately 3,400 square feet. Again, it will use CFRP. On that project, it will repair the piers and existing columns of two triple-span bridges on Interstate 81, which runs from north to south in Pennsylvania. “Basically everything you see on the support piers when you drive underneath the bridge is going to get wrapped with this CFRP material,” Haggerty says. Bill Anskis Company owes its success with CFRP to Sika, a Swiss manufacturer of industrial chemicals and materials. 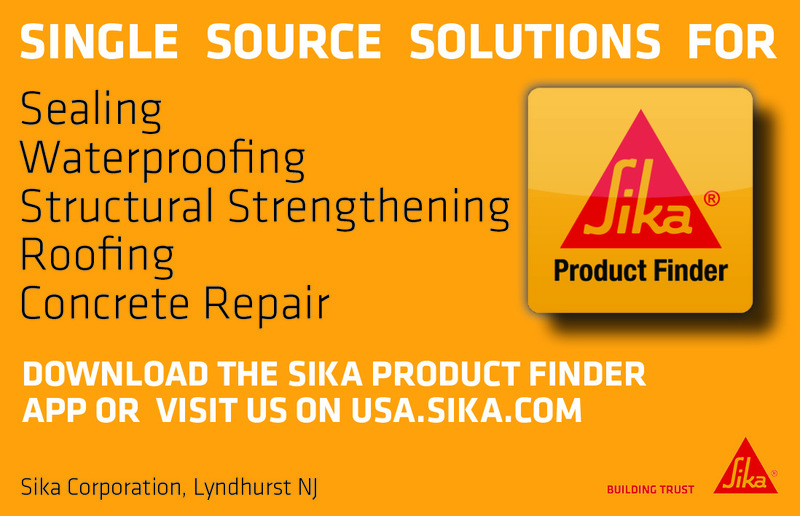 In 2009, Sika introduced Bill Anskis Company to CFRP and invited the company to a training in Lyndhurst, New Jersey. “Bill Anskis Company uses Sika’s concrete repair products daily,” Haggerty says, adding that the company has tried products from other manufacturers but found them less workable given factors like texture and cure time. “Not only that, but Sika has so many products that all work hand-in-hand with each other, so it’s much easier to stick with one company where you don’t have to worry when doing CFRP, ‘Are they compatible?’” she says. In most cases, engineers working on a project will request to use CFRP. They will contact Sika or one of the two other CFRP manufacturers in the U.S. and ask for recommendations of contractors who can install it. In those cases, manufacturers know they can turn to Bill Anskis Company. “I have an outstanding relationship with the people at Sika,” Sincavage says, adding that he’s worked with them, not exclusively but very heavily, for probably 20 years. Chances are, that relationship will continue well into the future.